If your goal this spring is to revamp your home, why not go global with a travel decor theme? Do you smell it in the air yet? Spring is just around the corner, and what better time than now to think about how you can get a bit of spring cleaning for your home! Which doesn’t necessarily have to be taken literally! There are so many ways you can add a bit of colour to your walls and make them really pop, even without florals! 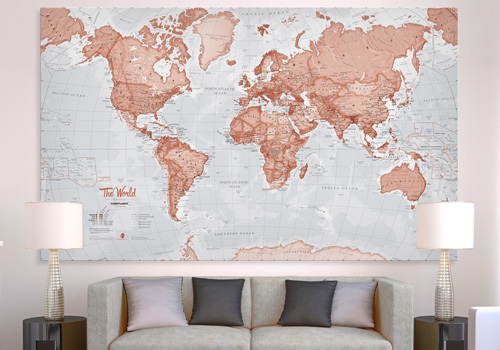 Maps add a touch of the exotic, and are a stunning statement feature for room in the home. They make for an engaging and interactive talking point for guests. We’re showing off a selection of stunning wall maps to compliment rooms of all sizes this spring! 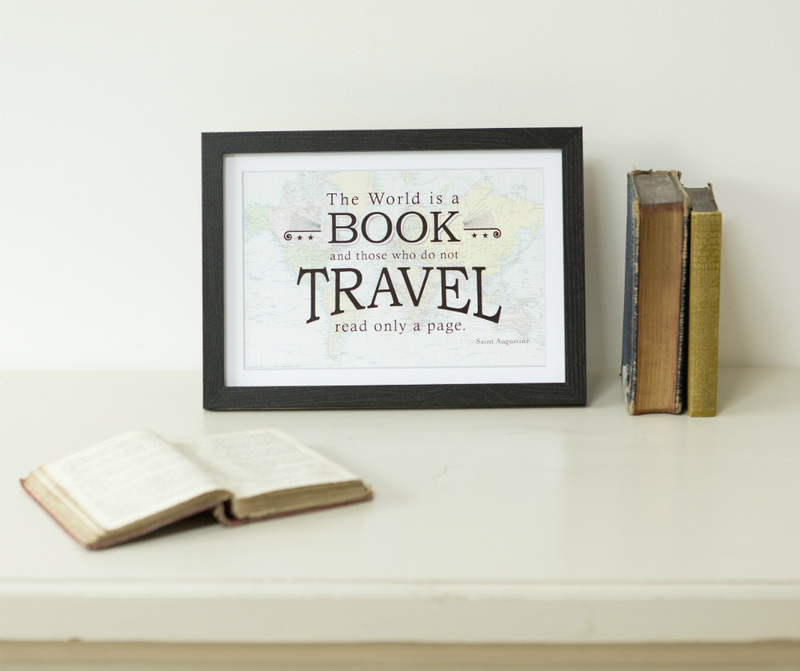 If you could talk for hours about your travels, then our Scratch the World® Collection is the perfect way to relive those travel memories, plan your next adventure, and showcase your own unique travel story in your home. Your guests will be able to see exactly how far along your bucket list you are and the colours under the scratch foil are ever so bright! For the traditionalists, or those who love a touch of vintage, a canvas world map is a joy to behold and provides endless inspiration. Are you looking to set a trend with new colours this spring? 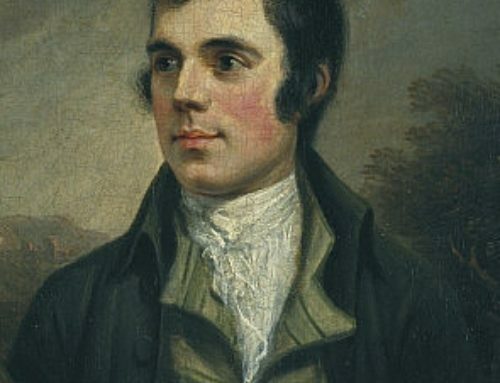 Available in a range of sizes and styles, these high-quality canvas maps add a luxurious feel to any room. Choose from Antique, Classic, or even an Executive feel! 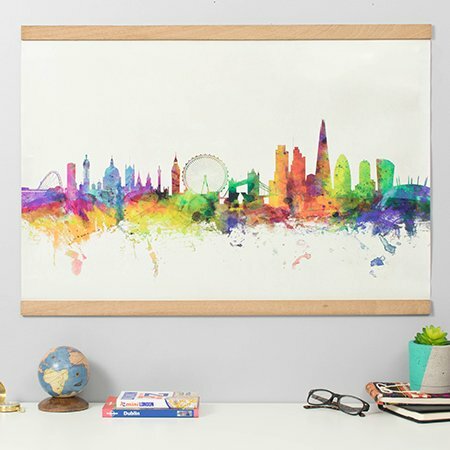 For the modernists and urbanites and the trendy amongst you, we’ve created a slick, vibrant range of City Street and Skyline Prints. From subtle lines to a wash of watercolour, these prints will inject life into even the most neutral of colour schemes. For those who want to go BIG! A feature map wall is perhaps the ultimate DIY project for any travel enthusiast. 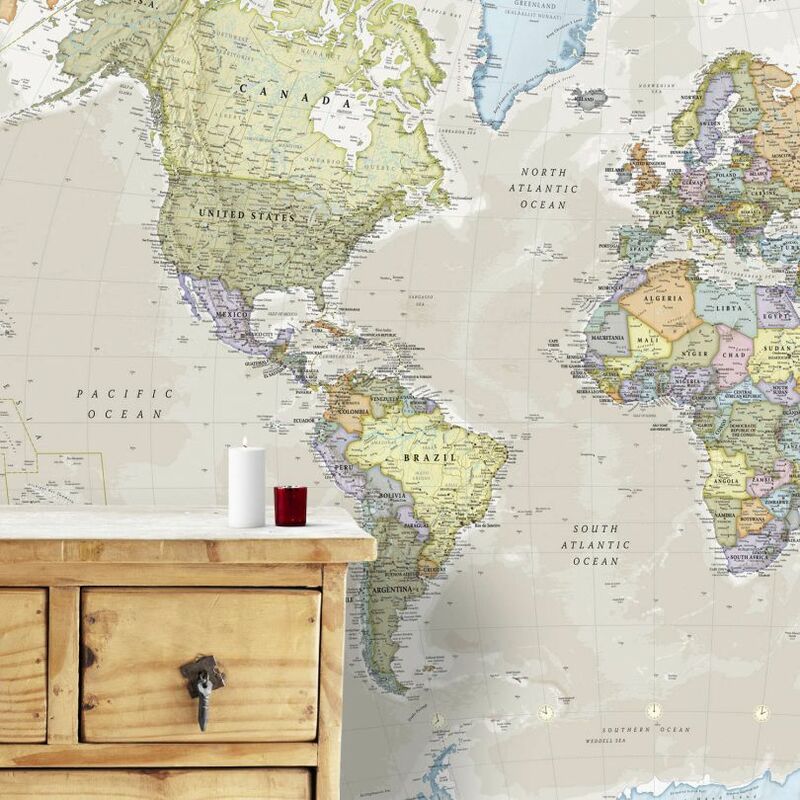 We’ve designed a stunning range of bespoke world map murals and wallpapers, which can be customised to fit almost any wall and will inspire years of adventures to come. 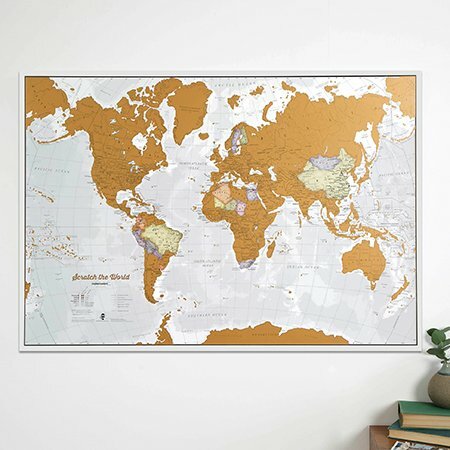 Why not put one in the playroom, or study or even a kid’s bedroom to spark their love of geography? Of course, you don’t have to go large to make a statement. There’s endless inspiration to be taken from those little finishing touches that mean the world. 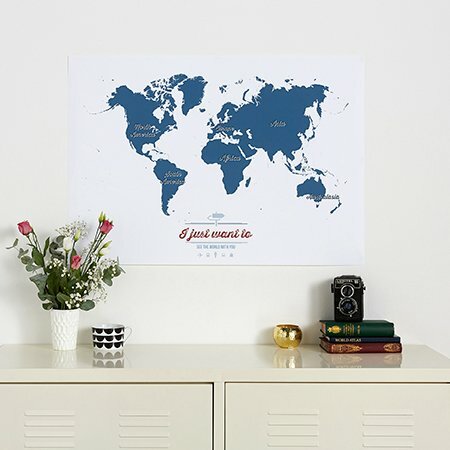 These Travel Quote Map Prints are a lovely way to remind yourself that the world is there for the taking and to provide motivation on even the dullest days. Our extensive range of world maps, prints, and murals come in a variety of sizes, finishes, and styles, and are designed and printed in-house by specialist cartographers. With colours and designs to please everyone, you’re guaranteed to find your perfect travel companion, while transforming your home into a source of travel inspiration for years to come.